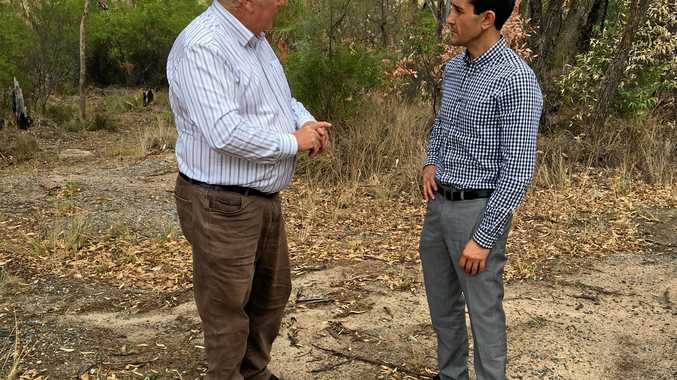 THE top concern voiced to visiting shadow tourism minister David Crisafulli by Granite Belt tourism operators last week was the need for the planned Emu Swamp Dam to be fully funded. Lack of water to support horticulture and farming in the drought-ravaged area affects everybody, Mr Crisafulli said. "A lot of the people, including the (tourism) operators, say, 'yep it might not impact me directly but having that piece of infrastructure will enable the farming sector to be more profitable and therefore the town to be more profitable and therefore everyone benefits',” he said. In January the Federal Government comitted to fund half the $84 million dam, which is now being called the Granite Belt Irrigation Project. Growers will stump up $24 million. 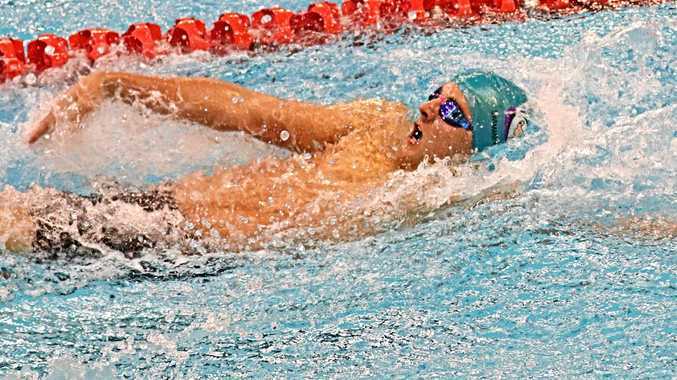 The remaining funds needed to be supplied by the State Government, Mr Crisafulli said. "It shouldn't be the council who has to stump up,” he said. The Stanthorpe Shire Council and later Southern Downs Regional Council were the original proponents for the Emu Swamp dam but an initial business case revealed it would not be financially viable and would create a huge burden for ratepayers, Mayor Tracy Dobie said. Cr Dobie said the council decided to separate the urban and irrigation components of the water allocation. This took the dam's construction out of the local government's jurisdiction and made it a state and federal government responsibility. After this decision the Federal Government transferred $3.5m in funds to develop a business case to the Stanthorpe and Granite Belt Chamber of Commerce, Cr Dobie said. In January the Chamber reportedly delivered a detailed business case to the Federal Government, but despite requests this document has not been provided to the council, Cr Dobie said. "We have been adamant as a council that we fully support the construction of Emu Swamp dam as an irrigation dam,” Cr Dobie said. Cr Dobie said she understood the business case had been prepared on the basis that hundreds of megalitres would be taken from the council-managed urban water supply at Storm King Dam, but a letter received last week from proponents of the new dam said this was no longer required. "We're still trying to get clarification - we have not been given a copy of the business case that's been sent to the Federal Government,” she said. State Member for the Southern Downs James Lister said the dam was "desperately needed” and Mr Crisafulli's visit was welcome.